With his iconic cape billowing in the wind after making a speedy descent, this intimidating Man of Steel statue is ready to fight for truth and justice! 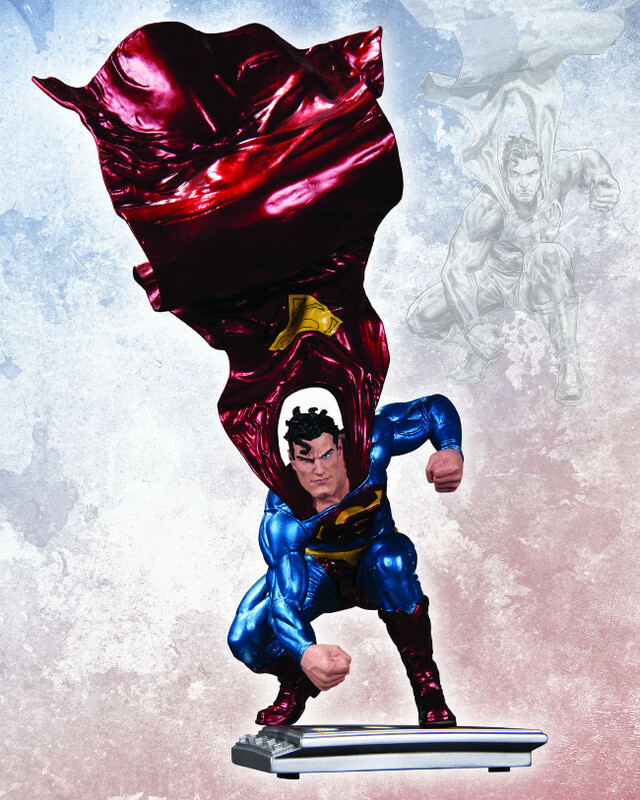 Beautifully designed by artist Lee Bermejo, you'll be glad this Superman is on your side! Order now! Measuring approximately 11" high x 5" wide x 3.75" deep, this hand-painted, cold-cast porcelain statue is packaged in a 4-color box.